you'll end up somewhere else." Whatever the level of network implementation at startup, the WISdom Network's Economic Characteristics mean that early members would need to be heavily rewarded, perhaps with free cooperative membership for some predetermined time after rollout, etc. in order to reach "critical mass". But the WISdom Network must first be effectively marketed to inform a very large number of prospective members and franchisees. If they know about the benefits and opportunities they would receive, they will "buy" in. There is power in numbers, and this proposal needs a lot of power. may change the way that local franchisees or consumer cooperatives are supported by the network. reflecting the existing status of the WISdom Network facilities. to show the WISdom Network in action. 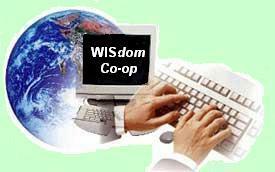 With no funding or with liberal funding, WISdom Co-op and Network Progressively Improve the World! All Provider/Proprietors would probably not fully cooperate with the WISdom Network information posting standards until near maximum membership is reached; however, ultimately providers will go where all2the consumers are or cease to exist as providers. Version 1 of this proposal did not have the option of WISdom Local Area Services being performed by franchisees, recommending only consumer cooperatives at the local (zip code) area level. Feedback from readers has convinced me that the use of franchisees is not just to get WISdom Network Local Area Services going; franchisees may do the job better and at less cost than local area consumer cooperatives. ...........>The Price is Going Up Fast! Local area franchises owned by (interim?) for-profit entrepreneurs or local area consumer cooperatives (WISdom Co-op Local chapters) could be sold sometime prior to WISdom Network roll out, providing much needed funds for pre-release marketing ($100,000, with good and free tech media exposure) and network software development ($5M? ), as well as entrepreneurial startup expertise and energy. Franchises would be auctioned to the highest qualified bidders, and effective WISdom Network Development Project participants will be rewarded with promisory franchises for the area(s) of their choice. Early franchisees and members would be protected by having all fees placed in escrow until enough revenue is realized to proceed with WISdom Network development, and until pre-release membership and franchise sales reach agreed upon levels. Local WISdom Co-op chapters do not pay franchise fees, but may be requested to help finance central operations of the WISdom Co-op. WISdom Co-op is to be the Franchisor, rather than a co-op of franchisees. This is because the WISdom Co-op must be the boss, and because its members should decide how to distribute franchise fees for things like subsidizing local shopping pickup and delivery services, network software and content improvements, etc. The bulk of franchise fees should be used to subsidize free shopping pickup and delivery services, thus returning a large part of franchise fees to the franchisee. Franchisees would be expected to derive their primary income by local classified listing with WISdom Network's cross-referencing classified displays, Selective Local Provider Disintermediation by Product, which is made possible by franchisee provision (subsidized during franchise startup by the WISdom Co-op) of Local Shopping and Delivery services requiring Local Provider Posting Standards. Additional income could be derived via % for local services support. Meeting member demands for consumer goods and/or services provides many income opportunities. Franchisees or local consumer co-ops would be responsible for connecting local merchants offerings data, using WISdom Network's software and facilities. SBA and other business loans for inventory or capital expenditures would be made available for franchisees via WISdom Financial Services, backed by good repayment experience with WISdom Network Franchises in similar local areas. Franchisees and local area consumer cooperative management would be members of metro area/regional, nationwide, and world wide WISdom Network purchasing cooperatives with product type ratings specialists, and the WISdom Co-op would provide inventory funding and strategic WISdom Network business intelligence for this inevitable disintermediation. Most local zip code areas would have WISdom Network communications-enabled Housestores of some variety with order picking services that are designed to facilitate in-store ordering and pickup by either local area service personnel, members or walk-in customers, and "bricks and mortar" specialty warehouses (e.g., furniture, autos, frozen food, etc.) can be made reasonably locally accessible by cooperation with adjacent WISdom Network Local zip code Service Areas to form WISdom Network "metro areas". Financing of franchisee capital expenditures should be handled via WISdom Network Financial Services, which will provide low rates and member-determined perks via negotiable interest rates to selected areas for strategic promotion and tactical survival and growth. The ongoing availability of real time consumer market intelligence for franchisees puts them at a considerable advantage over conventional retailers. And the shared experience of other WISdom Network Franchisees and WISdom Co-op management provides a reliable source of guidance to individual WISdom Local Area Services. A typical sequence of disintermediation and other for-profit services in a new WISdom Network Services area would be: consumer replenishment goods, consumer financial services (Credit Unions), consumer specialty items, appliances and furniture, cars, real estate, etc. WISdom Co-op Local Area consumer co-ops would probably follow a similar sequence of exerting the members' power, but they have more legitimacy. The question "which is better?" should be "which is better for this particular zip code area? ", and WISdom Network may have a reasonably objective answer. Considerable additional franchisee income could come from the sale of aggregated local sales data to producers and providers. 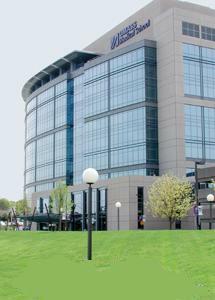 Local zip code area WISdom Network ISP services will add to franchisees' income base. The WISdom Network as proposed would require franchisees to practice open book management (another idea whose time has come), and one significant result of this policy will be provisions for the continuous availability of all pertainent standardized WISdom Network Service Area accounting information via the WISdom Prospector's Analytic Business Intelligence Displays enabling every member to judge if franchisees are prividing the best possible service at the least cost to the local members. IT may well be the most powerful force for business transparency in our time. Franchisees must sign agreements to generous fair price buybacks by the franchisor or buyouts by newly formed local area consumer cooperatives. Fair price formulas would compensate franchisees for their usable investments and time spent in developing the local area franchise. To avoid legal trouble related to monopolization of geographic areas, and to keep local (zip code) area management on its best behavior, it seems wise to limit franchise sales to only one local area per franchisee, except when a block of local area franchises is bought for operation by the WISdom Co-op, or for resale or offered as loan collateral through a cooperative bank. Member default representative (proxy) voting would be done by the member's local area franchisees or local consumer cooperative leadership. The power entrusted to franchisees is balanced by contracted responsibilities; they must be bonded and unassailably honest, sincerely respectful of member's privacy,and they must take oaths to always act in the best interests of the local members of the WISdom Co-op. Franchisees that provide less than top quality member services or charge high prices for local WISdom Co-op members - the Franchisors - these franchisees risk loss of the franchise to the WISdom Network for contract violations, or to a newly formed Local Area Consumer Cooperative at any time. Note that franchises in adjacent local (zip code) areas could compete with each other in practice, by offering a nearby alternative WISdom Network Local Service Provider. But cooperation of adjacent zip code WISdom Network Service Areas can result in agreements that are very beneficial to all their members and their thus-allied communities. One such arrangement would apportion consumer specialties by warehouse/store type to adjacent WISdom Network Service Areas (e.g., frozen food, dry goods, fresh commodities, etc. ), with the aim of providing all their members practically local physical access to all types of consumer goods, and economizing by sharing facilities between WISdom Network Service Areas. These consolidated WISdom Network Local Service Areas, consisting of Regional, Metro-area and individual zip code areas can then do very extensive Supply Chain tuning down to the individual member and facilitate Selective Disintermediation of Local Providers by Product, which may not be of economic scale in less densely populated areas, effectively monopolizing all consumer goods provision in the associated "metro/regional" geographic area. There would be a resale market in WISdom Network franchises, contingent upon approval of the buying franchisee by the world wide WISdom Co-op consumers cooperative (the franchisor) as outlined below. A "futures market" of franchises is posssible (unrelated? to the futures market on terrorism and infowar proposed by some governmental figures) by zip code, based on market evaluation of availability dates in WISdom Network Local Services (zip code) Areas can help in many ways, including the obvious funding revenue and media coverage. These measures are intended to provide funding to compensate Open Source and Content developers who win RFPs from the WISdom Foundation for network development work, since non-profit cooperatives can not be offered on standard stock markets. When and if local area consumer cooperatives are formed, the selling franchisees and their employees would probably then be retained as the local area operators of the newly formed consumer cooperatives. Refusal to sell at the generous fair price determined by formula, including a generous valuation of "good will" with local area(s) providers and members, would result in loss of the franchise without payment. Depending on the extent of local area(s) development, the "good will" generous fair price may be quite high, but formation of local area cooperatives must always be a practical option of the local members of the world wide consumers cooperative. The members' well-being comes first. As usual, wisdom will be required when making software licensing decisions. is a registered service mark of the World Service Authority throughout the world. A consumers cooperative monopoly world wide! "It's not more than you need ~ just more than you're used to." This proposal would establish a WISdom Consumers Cooperative at the world wide level (The WISdom Co-op) with national branches when WISdom Network facilities are ready for use, with automatic membership of all consumers who sign up for WISdom Network Services. The (interim?) local area franchises would be initially owned and sold by the WISdom Co-op as the franchisor, or awarded free to local area consumer cooperatives when they are formed. This would help assure that local area consumer cooperatives would always have help and encouragement in their formation, and in the formation of local WISdom Network Credit Unions. This measure would probably also encourage prospective franchisees, because world wide consumers cooperative members would then have less incentive to form local area consumer cooperatives, at least in the near through medium terms, providing longer term business prospects for franchisees. Generous fair price formulas for franchise buybacks by the franchisor or buyouts by newly formed local area consumer cooperatives must be set by this world wide consumers cooperative and adhered to. Of course all franchisees and their employees would be members of the WISdom Co-op, and they would initially share ownership of the franchises as the franchisors, having equal voting rights with all other members. This world wide consumers cooperative would help to avoid a repeat of the subversion of cooperative member ownership that occurred with the mid twentieth century American mutual insurance companies, and it assures central cooperative government by the members - not the franchisees. Although the WISdom Network's provisions for pure democracy with default proxy voting tend to skew power from individual members to network leadership, whether this means local area consumers cooperative leadership or franchisee, individual members can have as much shared power as they care to exert. The decision makers in this cooperative will have a continuous record of member concerns, issues, and opinions, as well as pictures of the cooperative's business performance. Some of this information is available only to WISdom Co-op Central or Local leadership. The revenue realized by the initial sale of franchises should not be subject to revenue sharing amongst all the members of the world wide consumers cooperative; it should be available as needed for WISdom Network development expenses, and to subsidize free shopping and pickup/delivery servises by franchisees during their individual startup membership drives. This revenue can be used to help spur the membership drive by covering development and other network operating expenses normally covered by cooperative initial membership costs! The WISdom Co-op would champion the rights, freedoms and interests of consumers world wide. Use of the WISdom Network Open Source code by anybody other than a legitimately operated cooperative will lead to unpredictable results, e.g., a dictatorial regime could establish a nightmarish mind control by "MINE.Fakirs" exhibiting "monomedia megalomania". This must be prevented or alleviated by any available means! Creative Commons to the rescue? Judicial specification of the initial cooperative constitution would help avoid short-sighted revenue distribution before the expenses of network development and nationwide deployment goals are met. Revision of this constitutional measure should be prohibited until after "critical mass" is reached. Continued vigilance in this and all other matters of cooperative governance must be maintained at all times! WISdom Network startup strategy is very challenging, especially in arranging data sources and establishing the world wide consumers cooperative constitution, and exploration by discussion participants is invited, as is discussion of any other aspect of this proposal. The most basic of WISdom Services for the WISdom Co-op is member local shopping with scheduled and possibly prepicked/prepaid multi-stop pickup at cooperating local providers, using printed shopping maps and lists in store-slot sequence for shopping trip support, optimized for lowest total member cost. This level of service could be made available at low per member subscription fees, and would provide one foothold on the road to the WISdom consumers monopoly. This service can be provided on the open internet or simple SSL VPN, and minimal modifications would need to be made to the Mozilla browser to support the above service on all platforms supported by Mozilla. Mixed secure and non-secure connections to Provider open internet websites would be permissable with individual case authorization during startup. The local provider content with linkage to producer/distributor databases would need to be created with proprietary software that enforces WISdom local provider standards enabling the extraction and analysis of Virtual Specialties Malls. The Consumer Replenishment Shopping Service should be integrated with meal planning software that may be CD ROM based. Other member household activities, like home improvement projects, can benefit from planning facilities that include materials and assembly sources and prices ~ coordinate with Home Depot, Ace Hardware (a purchasing co-op), et. al. Other centrally supplied member services can be integrated. The local franchisees would become involved at this point in local order and perhaps delivery aggregation. If there is a franchisee, he will be most concerned with member and provider relations, system inter-connections,installations and configurations, as well as the provision of local shopping and delivery services. Depending on the fleshing~out of WISdom Network's content from central producers and providers, and on the development of regionalized purchasing Co-ops, the franchisees will become involved in WISdom Network's strategic smoothing of its demand and supply chains to the individual members. WISdom Network Communications-Enabled Housestores are not supported at this level of services, but similar wireless operational facilities based on locally available warehouse and supermarket space can be fairly easily accomodated. The WISdom Network Media can start here, with secure PPV information services on the WISdom Co-op's Network. At regular intervals member voting decisions will be called for to determine the future course of the WISdom Network. Loyal, committed, active members will always be the driver, but especially when the market saturation is low (under 5 million members). The prestigious first 5 million active members club will enjoy free lifetime WISdom and any other perks they deem appropriate! I mean they have their choice of member lifetime benefits. Retire on the benefits ... Sell that! and be sure they will get it! Q11. How much does a franchise cost? Franchises will be auctioned to qualified candidates. Minimum startup capital requirements are reasonably low; depending on the startup number of members, service facilities as limited as a small warehouse area and one employee with an appropriate local shopping pickup and delivery vehicle might be able to service a limited membership area startup with a modest Selective by Product Disintermediation of Local Providers. Prospective franchisees should expect not to show a profit the first year (typical of most new retail businesses) ~ local providers' cooperation must be courted to enable accumulation of local area disintermediation information as the payoff for your provision of free-for-members shopping pickup and delivery services. Provision of these services should be seen as a legitimate expense of operating a WISdom Network franchise. Most zip code areas will soon have membership rolls and disintermediation rates that mandate centrally located WISdom Network Local Services Housestores, with procedures optimized for the pick-checkout-and-pack of multiple electronic orders for pickup and delivery. Financing capital expenditures or leasing facilities like this would be handled via the WISdom Network Financial Services at low interest rates, based on well known risk factors. If you want to earn success and local recognition, and be backed by a winner, this is the business for you! WISdom Network supplies from its private online database by zip code area potential membership and projected product movement analysis displays to show projected revenues for that area. This will be useful to potential franchisees in selecting a zip code service area, and will provide the fact base of the WISdom Network's franchise selling and financing effort. Note that payment (for registering Producers and Providers and helping them arrange for customizing and updating their content) is due to the franchisees that do the sales and installs, and this will be treated as a separate billable item for franchise rights. The franchisee should plan on a lot of person to person evangelizing the WISdom Co-op and selling WISdom Network Services to prospective members and local providers, and cooperating providers will require help with their WISdom Network-standard Intranet website construction and optional provider database integration using WISdom Network-supplied templates and software. Another profitable service activity that should occupy some part of the franchisees attention is meeting members' projected demand, and aggregating orders and deliveries to economically meet members' delivery date/time requirements. Readily available funding at low interest rates for inventory would be provided through the WISdom Co-op, based on availability or reasonable assumption of local area member demand information, which will be available in detail shortly after startup. There's a fast lane and a slow lane in WISdom Network Local Area development, and I perfer the slow lane. Take time to get to know the local merchants that you will be delivering for; you'll think twice before you disintermediate him. Take time to get to know WISdom Co-op members in your area; political support is necessary to maintain a WISdom Network Franchise. Plan on it costing you a minimum of 1 year's operating costs, and taking longer before you can begin to exert the power of a monopolist. Q12. What are the WISdom Network's minimum startup requirements for Producer and Provider data? "I mean is rapid deployment possible? "asked, "Tom Ridgeway"
Note >> This data generally only represents additional expense for Producers and Providers who feel that they must maintain an open internet Web presence. WISdom Network Producer and Provider posting and updating aids will be made available on the network. These aids enable quick deployment but professional Intranet Web pages that meet WISdom Network Producer and Provider Content Standards. Even if it should someday become possible, through Producer and Provider adherence to some agreed upon open internet HTML/XML standard, to operate a server side "bot" to successfully extract all the information required for WISdom Network's Virtual Specialty Markets, including information from both central and local to regional providers, the Intranet websites themselves need to follow WISdom Network members' standards for ease of navigation, truth in advertising, and consistency of site formats for the product type enabling exhaustive analysis and comparisons, and for member users' privacy and security. The CGSIDb could possibly be implemented (but no good stuff ) with no provider or producer-supplied information by including WISdom Network-supplied product information with product specialist ratings augmented by member ratings of good and/or service, with links to further research availability, pricing, and ordering facilities at WISdom Network-approved providers' Intranet resident websites. Support content for specific member services, e.g., "replenishment shopping", education, residence market, automobiles, etc. can then be layered into WISdom Network content as desired. Delivery handling for this interim level of service would be as determined by the WISdom Network-approved provider. Without WISdom Network Producer and Provider posting standards enforcement at the local area level, the nature of the WISdom Network Intranet service would change from being a single source consumers local provider with local area shopping and delivery services and selective local provider disintermediation by product to a secure, personalized members' VPN portal with an interactive directory with search (and possibly someReSearch and Analysis) of WISdom Network-approved Intranet-resident websites that feature third party delivery of the type of GSI (and brand?) selected by the consumer. =>This means that compliance with WISdom Network CGSIDb Producer and Provider posting standards and WISdom Network Ordering standards would not be required to startup the WISdom Network. It would also mean that new members can join the WISdom Co-op and Network (should be free!) before the local (zip code) area is served by a franchisee or a local area consumers cooperative. WISdom Network approval of provider Intranet-resident websites could be withdrawn for non-compliance with changing WISdom Network standards for WISdom Network Producers and Providers, providing future leverage to require XML standards for self-defining data, enforce full compliance with WISdom Network CGSIDb Producer and Provider posting standards, or to enforce any other standards deemed desirable by the WISdom Co-op, whenever they want to! Enforcement of WISdom Network standards is made possible by the WISdom Co-op's ownership of the virtual private network, and its numbers will produce a widespread acceptance of its market community standards. WISdom Network Producer and Provider posting standards can be phased in when membership volume = power permits, without disruption of WISdom services because The Prospector expects this, enabling standards flexibility for a smooth, resilient transition of WISdom Coop approved Producers and Providers to WISdom Network Ordering standards. As actual Intranet data and Web traffic statistics reveal types of GSI's that have high demand and/or usage among members, a priority hierarchy for transition of those GSI's to WISdom Network Producer and Provider posting standards can be established to make possible selective disintermediation by product and optimization of WISdom Co-op members' benefits. => Since local (zip code) area provider posting is not anticipated before the local area is franchised or served by a local area consumers cooperative, many new (and some old) consumer members will have this limited WISdom Intranet service that does not enable local selective disintermediation by product. However, local area provider posting by an adjacent zip code area franchisee is possible. WISdom Co-op member rating of GSI's will not be present at network startup, and most GSI rating by a rating service or WISdom Central Services employees will not be present in the CGSIDb at startup. Unless central selective disintermediation is extensively done (and that seems very unlikely), it is recommended that this startup level of service remain free or at reduced subscription fees to WISdom Co-op members who are not served by a local zip code area (or adjacent) franchise or consumers cooperative, since member services and savings would be minimal at this limited level of WISdom Network Services. Q13. What does a typical new WISdom Co-op member get? Assisted transition of members to full WISdom Co-op Intranet Service, including local selective disintermediation by product and optimization of members' benefits. Most local provider posting with WISdom Network ordering and delivery services and local area shopping depends on the cooperation of local or adjacent area franchisee or consumers cooperative management and local providers. WISdom Network central producer and provider posting, initially limited to Intranet Web links to WISdom Network-approved providers, will be phased in to conform to WISdom Network producer and provider posting standards. WISdom Network's Central Purchasing may then introduce its selective disintermediation by product. In addition to being an intelligent, powerful and personalized way to access WISdom Network Virtual Specialties Markets information about all goods and/or services and information in immersive "rich media", the WISdom Prospector is capable of secure intimate member personalization with financial planning, purchasing advisory and financial management facilities, and it may be integrated with personal financial software to enable bank or automated local Credit Union transactions. Q14. How can prospective members, franchisees and other possible supporters see the WISdom Network Service in action? The WISdom Prospector prototype and beta with very limited change to Open Directory content, instead of WISdom Network Content Standards will demonstrate how member/consumers will benefit from "shopping (for all consumer goods, services or information) = research" and "advertising = requested information" in a private and secure network environment. This demo should be useful in attracting WISdom Network franchisees and supporters, both financial and otherwise. There should be enough diversity in the perhaps invented producer and provider offerings to demonstrate the power, diversity, and indispensibility of WISdom Network Services facilities for consumers. A high-visability rollout of a well unit-tested prototype WISdom Network Service is proposed, supported and preceded by a local campaign to obtain cooperation on the network from local providers and producers. Q15. What characterizes a good WISdom Network Local (zip code) Area for early franchise? Any middle class family community will have many members or prospects (at least about 600 families per zip code). An affluent area is certainly not required to build a successful franchise. Consumer demand for WISdom Services Area ordering with local shopping pickup and delivery services (enabling selective provider disintermediation) may be highest when local shopping facilities are currently unsatisfactory, and/or when member time saving services are highly valued due to many working parent(s) families, etc. Under Development See the latest business intelligence on this matter if you are really interested. Early franchisees will want to sign-up WISdom Co-op members and register providers from adjacent as yet non-WISdom Network zip code areas, as well as from their own zip code area, because this will increase early membership and local area revenues, and because this "good will" resource will be made available to all new franchisees at a price payable to the early franchisor(s) who registered the adjacent zip code area providers and members. Q16. How big a centralized support staff and beauracracy will be necessary to startup and support the WISdom Network, and how will it be srtuctured as WISdom Co-op Central Services? WISdom Network's Distributed Participative Management techniques and the liberal use of business consultants and guidance by WISdom BigBloggers will make the central staff much smaller than is rquired for ordinary top-down management organizations. The member/owners and local co-ops or franchisees are distributed participative managers, and the WISdom Network needs to support approprate collaboration facilities for supply chain management.